Juan Romero … milky way. I’m in love. Don’t get me wrong. 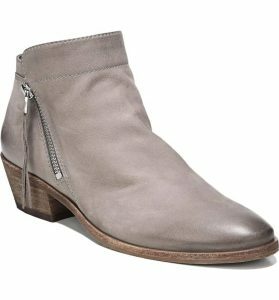 I like shopping at Nordstrom and The Rack as much as the next woman who’s looking to fill that hole in her soul with a new pair of jeans, cute little booties, and a cashmere sweater. I’m in. But there’s apparently a segment of Nordstrom buyers who have lost their GD minds. 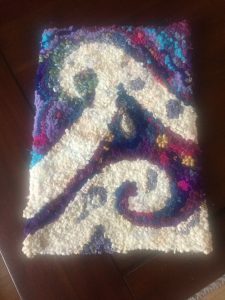 My husband says his family is afflicted with the curse of the “Coffin Compromise” – that’s when you pay far too much money for something that’s really a piece of crap. 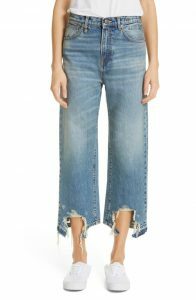 The distressing on these slouchy nonstretch jeans suggests something with large teeth has mauled the hems. How is this a selling point for any piece of clothing?? 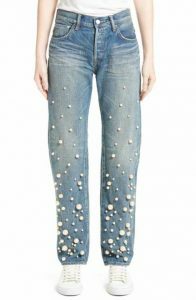 Wear these jeans and you’ll look like you’ve been attacked by a wild animal! Is that the fashion statement most gals want to make? I spent $540 on these jeans, just had my hair and nails done, and I look like I’ve been attacked by a puma! 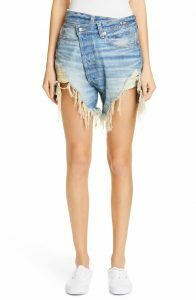 A deconstructed, asymmetrical front delivers a cool off-kilter vibe to fiercely slashed and shredded nonstretch-denim shorts. 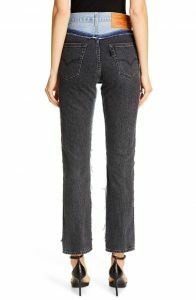 Are real women actually buying these jeans?? 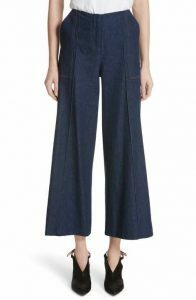 According to Nordstrom, it’s a “new slant” (guffaw) on skinny jeans, with an asymmetrical front closure. Or a factory error that’s been turned into a marketing opportunity. Only $414. 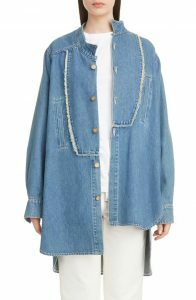 In Nordstrom’s words, this denim jacket has more “off-kilter styling” with a “misaligned placket” and “mussed wing collar”. Isn’t this code for, we really screwed up, but now we’re saying “I totally meant to do that“, and now it’s $1400? If choosing the colour of your jeans in the morning is the hardest decision you have to make all day, you need to get a job like mine. 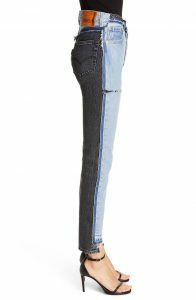 These are “bicolour” jeans. Black jeans are great. White jeans are cool. Pick a team. Make a decision. 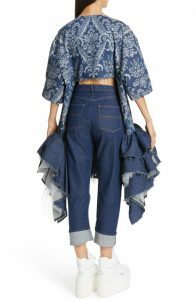 I initially looked at these jeans and thought, OK, kinda cute, pretty normal, but why $2K? I mean, are they horrifically awful? I wouldn’t say so. No animal has gnawed them, so that’s a plus. But I’m not digging them. Pick a team: blue or black. 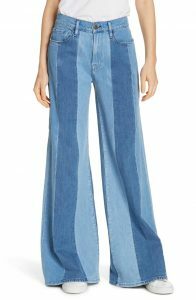 These are panelled wide-leg jeans that give you “an artsy reconstructed look”. 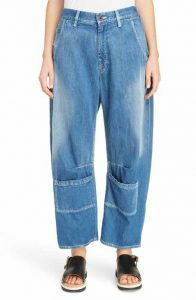 No, they are clown jeans. Tulle & denim mermaid skirt. Also off-kilter, as you will see. 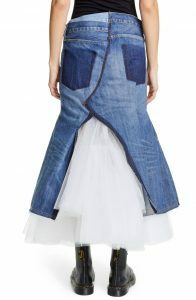 Only $2175. I am speechless. There are no adjectives. 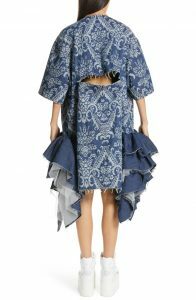 Not only is it ugly as hell, but it’s unflattering. The top is about as stylish as a hospital gown. The bottom is a schizophrenic hot mess. 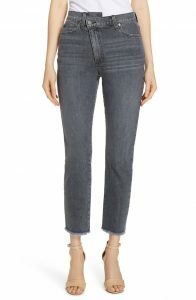 Nordstrom Actually Has Pretty Denim! 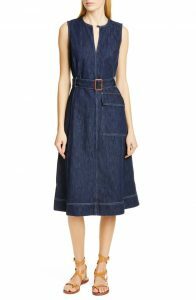 Super cute Ralph Lauren denim dress. $560. Ditto this zebra-print Calvin Klein A-line. My law partner MJ would rock this. She’s sane, stylish, and super conservative. 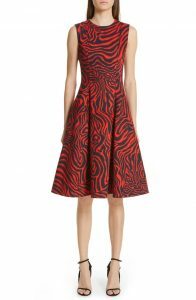 She would never pay $1400 for a dress (nor would I), but this would look great on her. 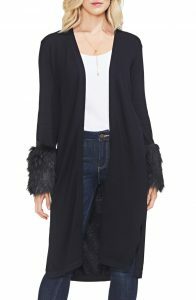 Vince Camuto “faux-fur” cardigan. I thought I looked like a 1970s pimp (i.e., I could hang around with Huggy Bear on Starsky & Hutch and we’d blend). Franca said it was more Prince circa Raspberry Beret. I’ll take that. But then it really should have been purple. Hey – if Vince Camuto sold that cardigan in purple, I’d totally buy it. 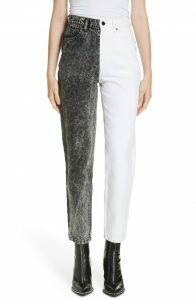 I have to say I do like these Calvin Klein black & white stretch pants. Doesn’t seem particularly remarkable. I guess I need to up my game. I saw Revisor last night with Holly. 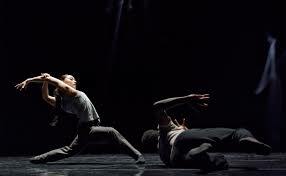 It’s the latest dance from choreographer Crystal Pite, with story by Jonathon Young. A Kidd Pivot production. I’ve been a fan of Pite since seeing her award-winning Emergence at the National Ballet of Canada years ago (and I’ve seen it every year since when it’s on offer at NBC). It’s a ballet about insects in a hive and what is means to be part of a community. And it’s beyond fabulous. And … tattoos. Revisor is an adaptation of Nikolai Gogol’s 1836 play, The Inspector General – a farce, a comedy, about the absolute corruption, oppression, greed, and tyranny within an unidentified “Complex” in the interior of Russia. Revisor took me a while to get into. The first part of the performance is effectively a retelling or imitation of the play, with recorded dialogue and Russian costumes (and dance, yes). It tells the story of the people who operate the Complex and their purpose – holding prisoners, torturing dissidents, rounding up the masses. And their ultimate purpose is looking out for their own asses when they get word from a “trusted source” that an inspector from the “Centre” is coming to check them out. After about 20 minutes of watching this story play out, I started to wonder what I had signed up for. A Russian farce about corruption and tyranny wasn’t really what got me out of the house on a Saturday evening (both Holly and I being homebodies on the weekends). But then Revisor transformed (revised), brilliantly, into a dance performance showcasing the inner machinations of the creator who is adapting the Russian play for a modern audience. The female narrator, representing the creator (both Jonathan as writer and Crystal as choreographer and director, I assume), identifies the key figures in the story and its plot points and translates them into dance movements that drive the heart of the narrative, that reach into the heart of the characters’ motivations. It reminded me of something very prosaic, but it’s the best analogy I have – the “reveal codes” function in WordPerfect. WordPerfect is a long-gone word processing program people my age used in the olden days; your document is displayed on screen, but with a command, you could “reveal codes” to see the coding behind your document’s formatting. That’s what Revisor did, it revealed the thought process behind transforming a 19th century Russian farce into a 21st century modern dance. It strips away the costumes, the dialogue, and the farce of the first part of the performance and lays bare the creativity and inspiration behind the dance. It stops being an imitation and becomes a very personal, beautiful, and affecting dance performance that, I think, is also an indictment of our modern world. 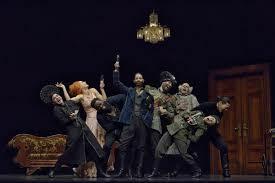 At one point towards the end of the “reveal codes” piece, the dancer who plays the character of the “subject” (the Revisor mistaken for the Inspector) is left alone on stage. Having learned about the atrocities at the Complex, her (yes, it’s turns out the Revisor is and always was a she, another revision) movements convey her pain. A moment very reminiscent of Heart of Darkness (the horror, the horror, said Kurtz). And it’s so clever. “Revisor” has so many meanings. First, it’s the Russian character from the original play – the “subject” who shows up at the Complex from the Centre and is mistaken for the titular Inspector. Actually, he’s not an Inspector at all; he’s a revisor – he’s there to change a comma in the Centre’s charter. And then the creators fundamentally revise the play in the second part to create the “reveal codes” stripped down version of the story. 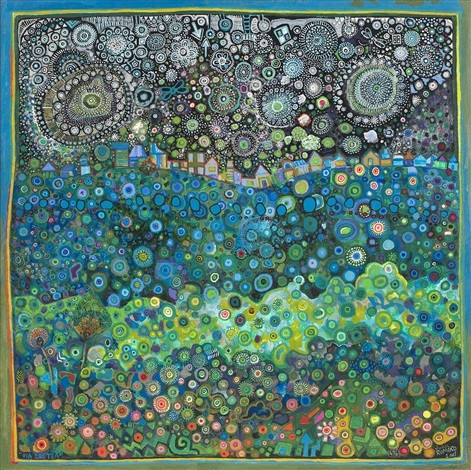 In the middle of the “reveal codes” piece, the creator also starts pausing – rethinking and editing her own creation – with the narrator chanting that she wants to make one “simple revision”. 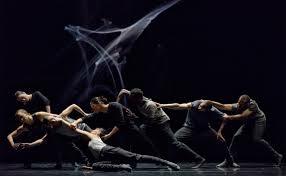 Again, it’s all about the process of creativity, honing and fine-tuning as one expects a great choreographer like Pite does again and again. The artistic process of determining, in a final piece of art, what stays and what goes. I haven’t even touched upon the dance, the movements, the fluidity – and sometimes the scary spasmodic jerkiness. I realize I don’t even have a vocabulary to describe it – it’s transfixing. Jermaine Spivey was a wonder as the Postmaster Weiland, a bureaucrat who has seen and read too much and is literally being torn apart with the knowledge of everything that’s going on and not being addressed on the surface. Last night was the last performance, I’m afraid. If it was on again tonight, I’d be trying to get rush tickets to experience it all over. 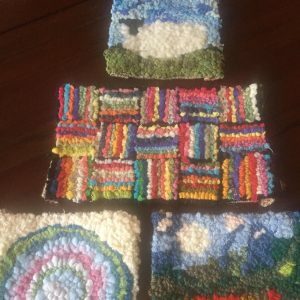 I spent this Saturday afternoon starting to finish my nine (!) 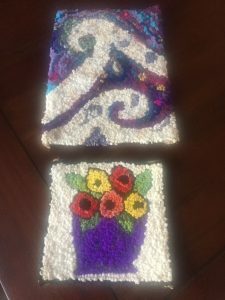 rug hooking projects that I’ve completed since last summer. 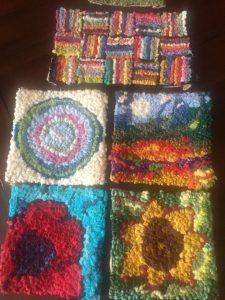 So happy my sister-in-law Anne introduced me to rug hooking and Deanne Fitzpatrick’s studio in Amherst, Nova Scotia. 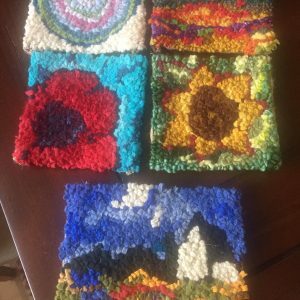 Since then … hours of calm creating these rugs. And a few hours of frustration. The Wave (picture below) was a real challenge for me. Graeme keeps asking … what are they for? They aren’t for anything. They are for me. What are you going to do with them? Who knows. Anne says some of them can be used as coasters for my coffee. But the next thing I need to do with them is finish them. They need to be steam-ironed, cut to size, with edges crisply folded. Then the backings get sewn up nice and neat. Turns out I really like 3/4 of that finishing process – and I got all rugs 3/4 done. But the sewing is not my forte, I’m afraid. I can sew, it’s the “nice and neat” part I struggle with. Looks like I had a seizure when I sewed up Mr. Sheep below. It’s a bit scary, but who looks at the back anyways? Right? I’m hopeful, but not at all convinced, I’ll get better as I work my way through the other 8 rugs. Fun compare/contrast – here’s a picture of Anne’s Wave, from the same kit (granted colours do vary). But she really made it her own. I love it. Plus, her stitches are beyond perfect and I’m jealous. 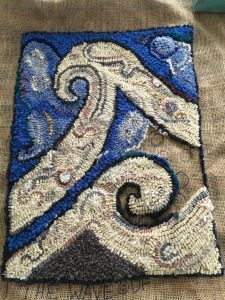 Anne’s rug hooking is at a level I don’t even aspire to. Perfect stitching. She creates her own patterns! Come on. Apparently this camel-toed nonsense has been happening since 1988. Doesn’t that mean someone is purchasing them? 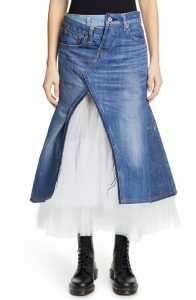 Another instalment of Horrible & Expensive Jeans, courtesy of Nordstrom. My friend Janet was on Twitter about these jeans a couple weeks ago. 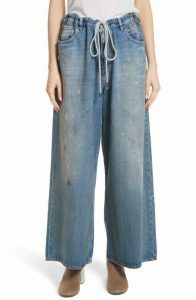 In addition to being droopy & unsightly (and apparently pre-worn & dirty), they are Cdn$756. I think even Giselle Bundchen would look unattractive in them. 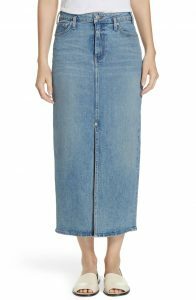 These are called jeans with “side panels”. They retail at Cdn$1200. And come with a free trip to the Emergency Department (at least in Canada, where emergency health care is free). I think they would really work with the camel-toed shoes from yesterday. 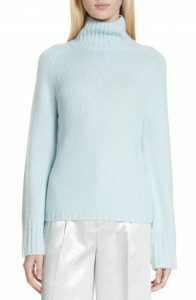 “Snow imitation pearl-embellished”. For only Cdn$1500. They are supposed to look like you were caught in a snow storm. Or in a paint ball game that uses sticky pom-poms and pearls. 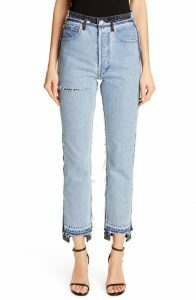 “Oversized pocket jeans” – with handy pockets on the calves. Because that’s how I like to carry my keys around – as close to my ankles as possible. Bargain priced at Cdn$1300. 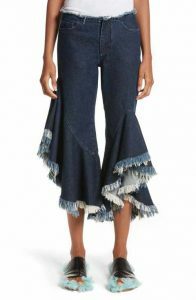 And I’m debating which is more awful: the “hem flare” jeans or the “frill flare” jeans. I think the see-through hem flare wins. 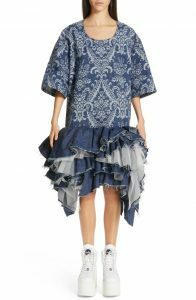 (Although the frill flare is more expensive.) I also think they really don’t work with sneakers. I also don’t understand what Ms Frill Flare is wearing on her feet. It looks like a turquoise bathroom brush duct-taped onto her foot. 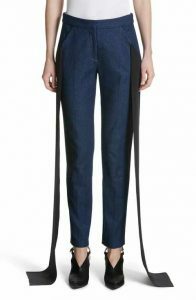 Although they are Cdn$900+, which is about $800 – $850 more than I pay for my jeans @ Reitmans or The Gap.